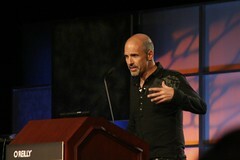 I just learned about Jeff Jonas at eTech this year in San Diego. His presentations were mind bending. And with the growth of Tendenci I learned quite a bit about things we can do to better scale the application beyond buying more and more servers. And his pithy blog post today is worth a read! Go read it!